Импорт орехов и сухофруктов в январе-мае 2016 г. 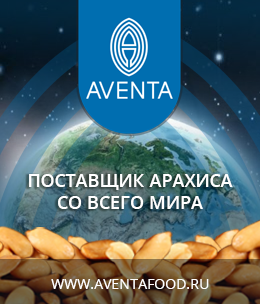 At the time when Saint Petersburg hosted Economic Forum and experts shared their views on when the Russian economy would bounce back from the bottom, we were preparing our next scheduled import report which confirmed that import of the majority of nuts and dehydrated fruits increased year on year and maybe, these are the first signs of recovery? While the exporters from Latin and Central America increase their share in the Russian market, India and China evidently lag behind. Indian exporters have lost up to 80% of their share in the Russian market – their volumes plummeted from 10 ths tons in 2015 to 1,5 ths tons in 2016, which represents a major setback. The volumes of China peanuts import has reduced by 42% and totaled 946 tons by the end of May against 1.6 ths tons YoY. Price increase, raw materials shortage and cashew nut import duty in India determine the situation on the global market, but, at first sight, bypassed the Russian market – the total surplus of cashew supplies in spring months amounted to 23% – 924 tons in March-May 2016 vs. 751 tons in 2015. Though this fact hasn’t influenced the overall volume of import to Russia much, Russian purchasers made up a part, but came off in the red – only 1.5 ths tons of cashew nuts were imported to Russian in the first five months of 2016 in comparison to 2.2 ths tons in the same period last year. 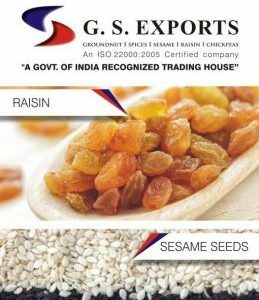 India was the main sesame supplier to Russia – in January – May 2016 it strengthened its positions in the Russian market and increased supplies by 40% – from 2.6 ths tons in 2015 to 3.7 ths tons in 2016. Mexico does not pretend to conquer any significant place, but furnished a small share in the Russian import chart – 154 tons in January-May 2016 vs. 75 tons in the same period of the previous year. Totally, the overall volume of import rose by 55% in the first five months 2016 YoY and amounted to 3.8 ths tons.